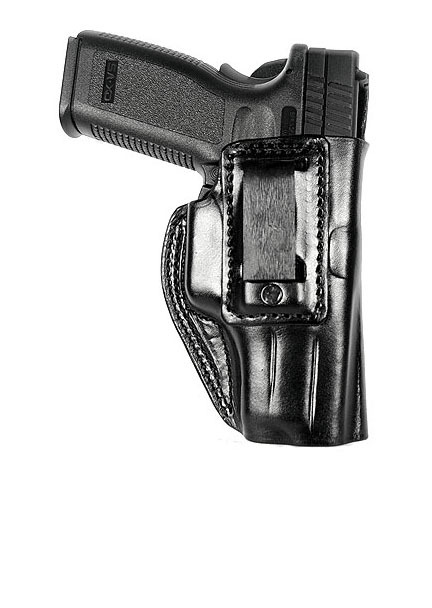 The Ritchie Leather HK VP9 Nighthawk holster is made from premium 7 oz. leather, wet molded and hand boned for that perfect fit. This is an inside the waistband holster with a clip for security. The durable nylon/glass injection molded clip is designed to clip onto your pants, with or without a belt. If you do use a belt, the belt goes over the top of the clip. Right Hand.